Back in the ’90s, there was a cadre of five rookie police officers who went out on their beats charged up on coke and ambition; but twenty years later they find themselves marginalized within the NYPD or out altogether. Billy Graves, an original member of The Wild Geese, now works the Night Watch, sidelined after having shot an innocent bystander in the pursuit of a felon. One night, a homicide comes to his attention: the victim is one of those “that got away,” a perpetrator who evaded justice. Billy checks into it a bit and discovers uncomfortable connections between the victim and his past. The past becomes a monster that promises to drown out not only himself and his friends, but his family as well as they battle personal demons and real threats. 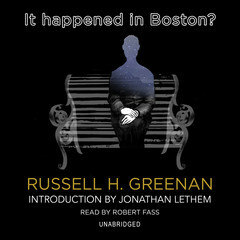 The whole of the novel is packed with the power language of the police profession, and scenes are acutely described as to render them realistic. The set-up and conclusion are fast paced; the middle section only lagging owing to the number of scenes that underscore the book’s theme (of the past being brought forward to bear on the present); but don’t serve to drive the plot forward. The overall style of the novel is not nearly as elegant as Lush Life, and the meaning of the title could have probably been made more clear earlier in the book; but regardless, the cinematic appeal of the story is not to be denied. 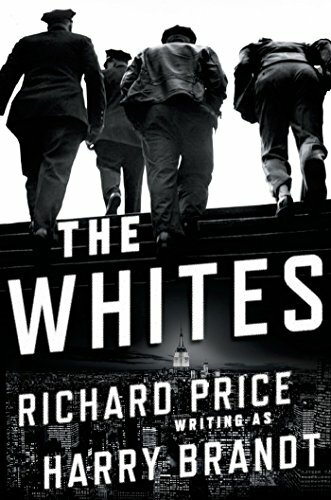 OTHER: I received an Advanced Reader’s Edition of The Whites (by Richard Price writing as Harry Brandt) through the LibraryThing Early Reviewer program on December 15, 2014. I receive no monies, goods or services in exchange for reviewing the product and/or mentioning any of the persons or companies that are or may be implied in this post. n.b. There are a couple of editorial lapses in the advance reader’s edition that hopefully will be remedied in the final release, e.g. Conversations have missing dialogue lines, and an unresolved fate regarding a minor character. The final installment in Tom Angleberger’s Origami Yoda series, sees kids from McQuarrie Middle School go on a field trip to Washington, DC. For those unfamiliar with the series, it centers around a loser named Dwight who folds a paper Yoda figure that dispenses wisdom and advice to his classmates. Seemingly divorced from Dwight himself, the paper figure achieves a certain mystic aura among most students, suspicion to some (’cause there’s always at least one person like that,) and frustration for all of the teachers. As the series goes on, more paper figures are introduced, all from the Star Wars cast of characters. It’s fun, and while the print books are heavily illustrated, the audio works surprisingly well on its own. 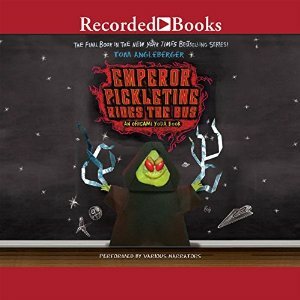 The production value across the series is a little uneven (splicing the different narrators’ sessions together seems to be a recurring issue resulting in some extra long pauses in some of the titles); but “Emperor Pickletine” seems to have had a better post engineering on it than the other titles. Tommy, the principal chronicler of the series is voiced by Mark Turetsky, who, as always, turns in a performance great for capturing the tone of a middle-grader (as opposed to sounding like an adult mimicking a child.) He does an awesome Chewbacca impression (check out The Secret of the Fortune Wookiee), which sadly wasn’t called for this time; but to make up for it, Dwight actually speaks in this book, and he is perfectly rendered by Tom Angleberger himself! Even if you haven’t listened to the others in the series, the book is entertaining and fun; and I’m sad to see it end. @dogearedcopy Thanks!!! I’ve been afraid to listen to it! @dogearedcopy @OrigamiYoda Have you heard our interview @recordedbooks? You can rlly tell Tom does more interviews! Tom and Mark talk about the fun of narrating an audiobook, the imagination sparked by the Origami Yoda series, and of course, we geek out on some Star Wars trivia.